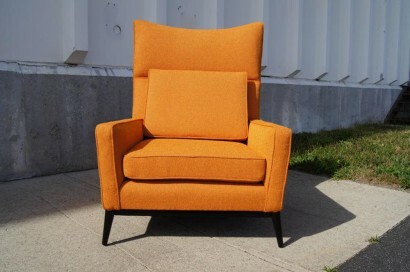 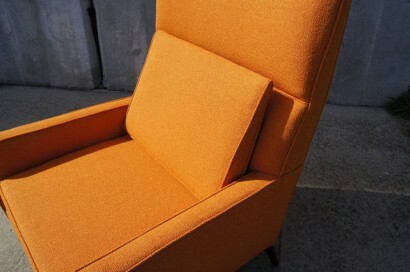 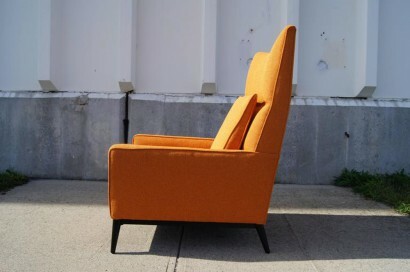 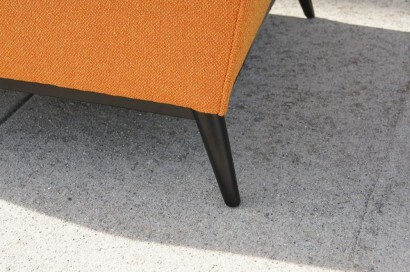 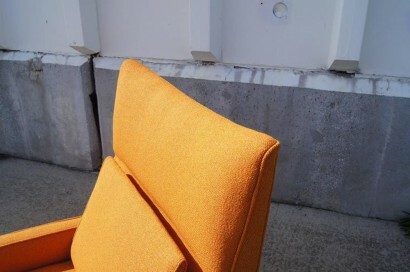 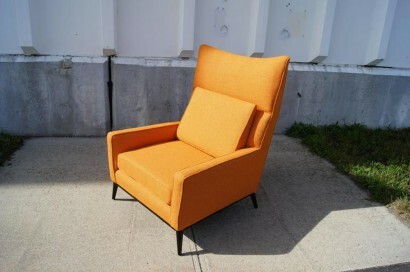 Paul McCobb designed this comfortable high-back lounge chair, model 314, for Directional Furniture. 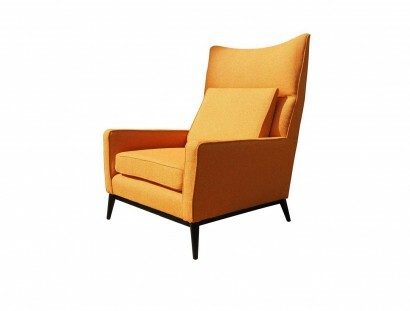 Its pointed wings, splayed tapering legs and wedge-shaped back cushion create a distinctive play of angles. 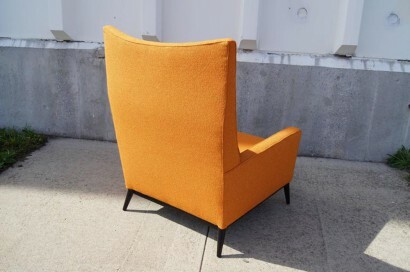 The chair has been reupholstered in Designtex’s Adler fabric in vibrant clementine, which contrasts nicely with the ebonized birch frame.